911 Elephant, a specific programme within the ERP portfolio, is rapidly becoming a leader in the field of elephant rescue operations in Southern Africa. We are able to lead and fund elephant rescue initiatives that may result in relocation, or simply by way of working with landowners to establish a sustainable, non-lethal alternative to controlling elephant numbers in overpopulated areas, and so as to avoid splitting up elephant family units. Elephants have been following migratory patterns for generations, often covering astounding distances in their search for improved feeding areas and water. Due to increased human settlements and the development of small game farms, these migratory patterns have gradually been destroyed and elephants, in many cases, are limited to small tracts of land a fraction of the size of their historic home ranges. This has led to increased pressure on elephant populations to survive and often results in them breaching the perimeters of the reserves within which they reside. Alternatively, from an ecological point of view, the elephant populations of these smaller reserves are growing to numbers far beyond what the reserves can sustainably carry and this results in culling or hunting practices. In addition to a host of individual rescues and supporting various properties in the implementation of non-lethal elephant management alternatives. The rescue and relocation of a herd of 13 elephants from a reserve in the Kwa-Zulu Natal Province of South Africa who were destined to be shot by a local community. The rescue of 8 elephants who had breached the fence line of a South African game reserve and faced injury or death. In addition to saving lives, by relocating these elephants ERP prevented property damage and loss thereby avoiding future human elephant conflict between the landowners and elephants. 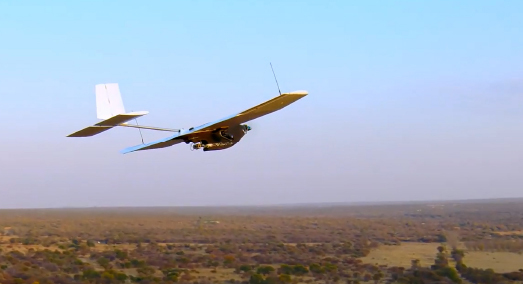 The protection of elephants located at the Dinokeng Game Reserve through the GPS monitoring of collared elephants and the use of UAV/Drone technology. ERP was invited to provide a solution to avoid government culling of these elephants as a result of their breaching the boundaries of the reserve. The installation of solar boreholes in Hwange National Park during one of the worst droughts faced by Zimbabwe, saved the lives of approximately 1500 elephants. The installation of beeline fences on the border of southern Mozambique and South Africa, continue to minimise elephant human conflicts and therefore saving the lives of countless elephants. Rescue of 45 elephant at Eendvogelpan by guiding them out of an area where they were going to be culled. Elephants migrated freely between Southern Mozambique and the former Northern Maputaland (now referred to as the northern part of uMkhanyakude District), South Africa, until 1983. During that year, the local chief on the South African side (iNkosi Tembe) anticipated that elephant migration from Mozambique could become a security problem for his people and in an effort to pre-empt a crisis, decided to proclaim the Tembe Elephant Park, an area measuring approximately 30,000 hectares under his jurisdiction on the South African side of the border. Fencing began in in 1984. With the alarming level of threat facing elephants and rhinos, traditional methods of supporting conservation are no longer adequate to protect the critical wild populations of these species. Conservation methods have not changed much in 50 years and putting more people on the ground is simply not enough if we are to truly save these great animals, a game changing force multiplier is required.